I love balloons. They are so inexpensive and there are so many fun ways to use them. 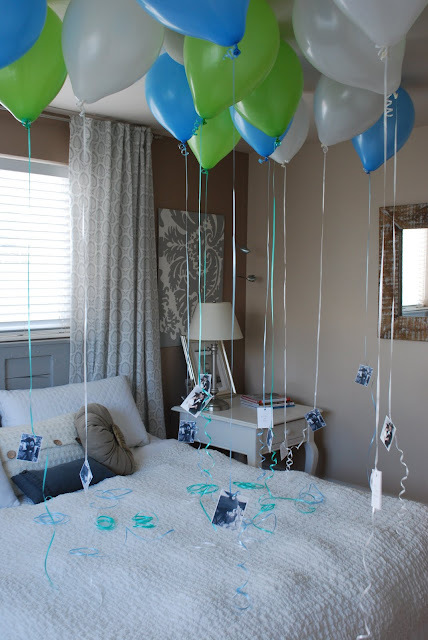 This fun birthday tradition from Increasingly Domestic is a perfect example. 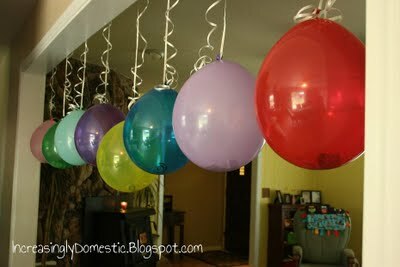 The number of balloons you get is equal to how old you are and each balloon holds a dollar. I think this would be a fun way to give Mother's Day cards this year too! Sort of like these love note balloons. But you don't need the helium and Mom will have to pop the balloons, which will be fun for the kids. You can check out the Dollar Balloons HERE. I love seeing each birthday celebration; it's always something new and special. I especially love giant balloons and the adorable decorations. Few months back my friend celebrated his birthday. His parents bought Cheap Party balloons by Postal flowers. I really like the whole birthday decoration.